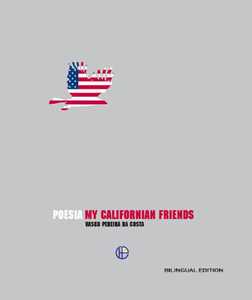 A bilingual edition of the poems inspired by the poet’s many visits to California and his interaction with many of the Portuguese-Americans who reside in the Golden State. 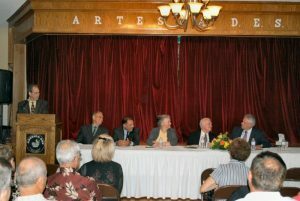 Translation by Katharine F. Baker and Diniz Borges. The penitent and jubilant labor of the worlds. Identity like the natural reserve of nobility. Doubts and uncertainties derived from possessing foreign roots. The constant reformulation of cultural matrices. The revelation of feelings. Apprehension from wandering senses. Solitary inquiry into the condition of the emigrant. The celebration of Friendship. A poetry of brotherly dedication – inventive, rigorous, subtle and refined. O penitente e jubiloso labor dos mundos. A identidade como natural reserva de nobreza. As dúvidas e as inquietações provindas de enraizamentos estranhos. A constante reformulação de culturas matriciais. A revelação de sentimentos. A apreensão dos sentidos peregrinais. A solidária indagação à condição do emigrante. A celebração da Amizade. Uma poética de compromisso fraternal — inventiva, rigorosa, subtil e apurada.